It’s time for another Thrifty DIY and this one is a good one! 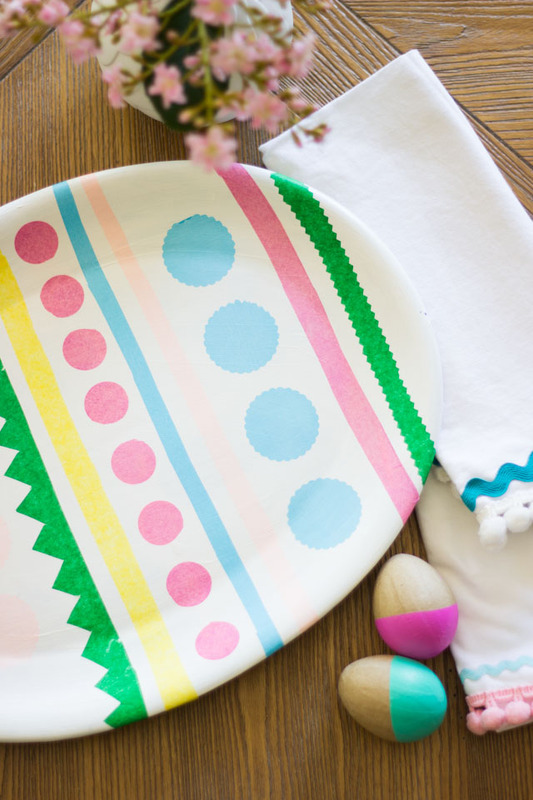 I took a $3 oval platter from the Goodwill and turned it into a giant Easter egg tray with just a little tissue paper and Mod Podge. 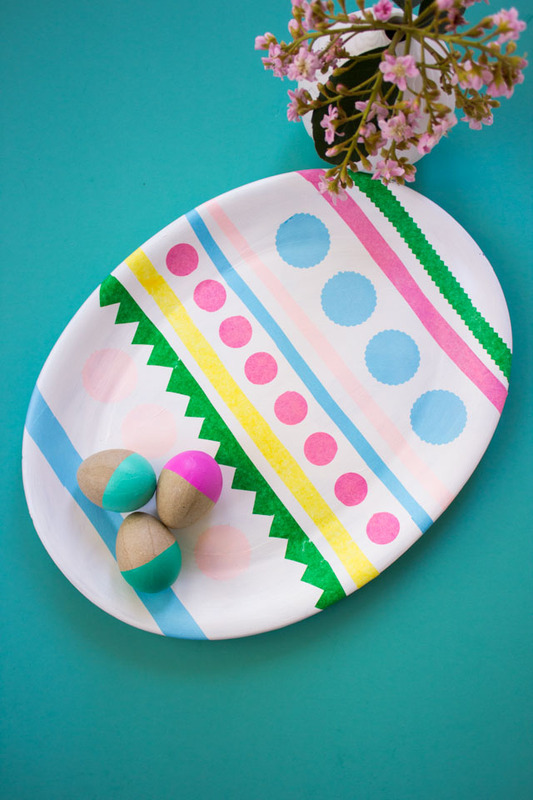 Any oval platter can be turned into an Easter egg. It’s a pretty dramatic before and after – check it out! Here is the platter I found at the Goodwill. It was actually kind of cute on its own but it had a couple little chips in it so it was prime for a makeover…and it was only $3! And here’s the after. It really does look like an Easter egg! 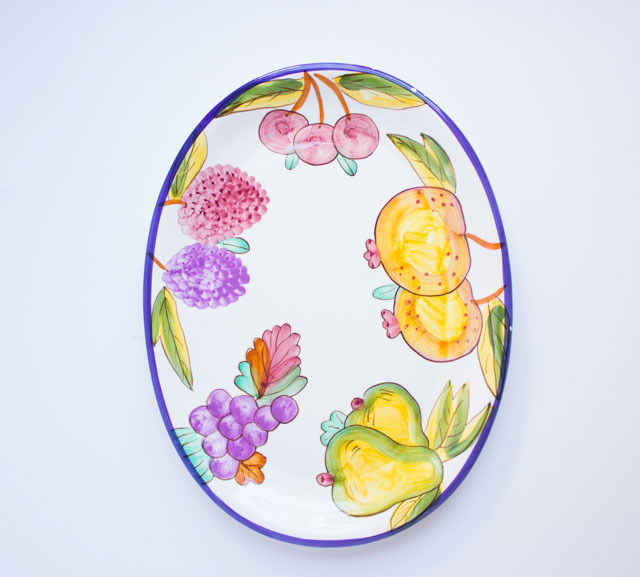 To make your, use an old oval platter you have on hand or find one at the thrift store for a couple dollars. If you find a white one, you can skip the painting step! 1. Cover the tray in a 2-3 coats of white paint, letting dry completely between coats. 2. Cut out strips of tissue paper with scissors and circles using a circle punch (it is helpful to cut through 5-6 layers of tissue paper at a time with the circle punch). Lay them out on the platter until you get the look you want. 3. 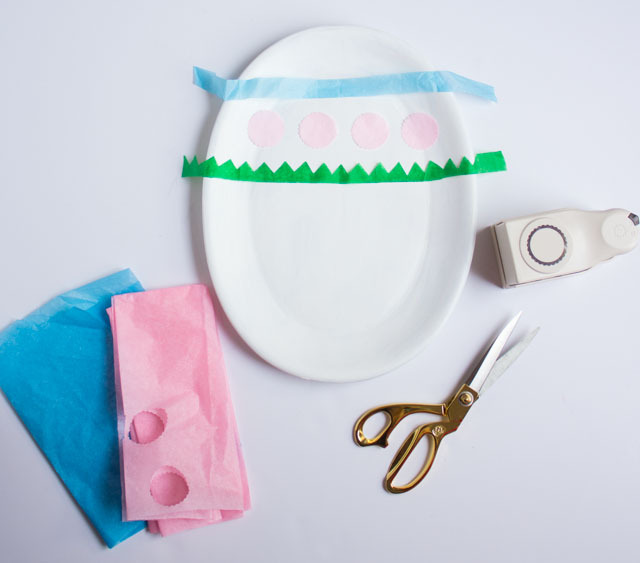 Add your tissue paper to the platter by coating it with a thin layer of Mod Podge and smoothing onto the platter. 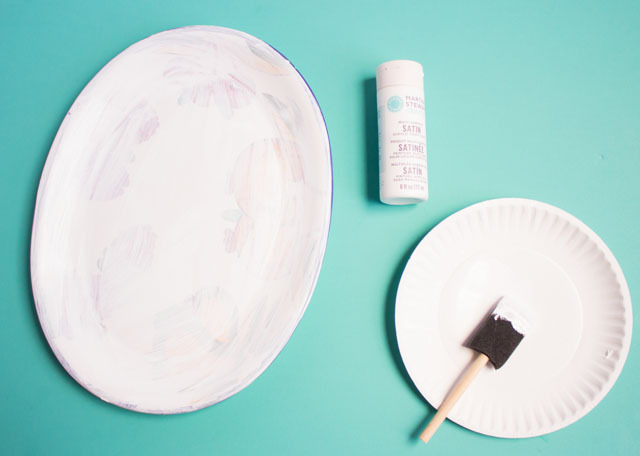 Let dry completely and cover the top of the platter with an even layer of Mod Podge to seal. You’re done! 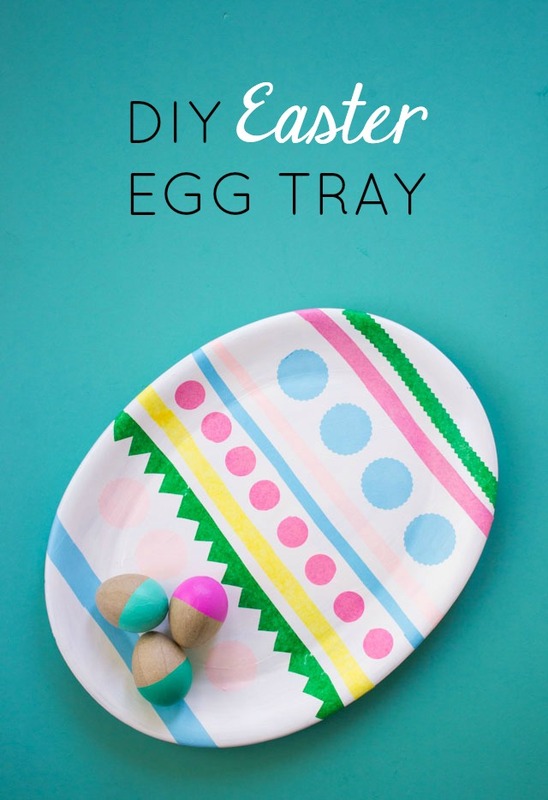 Please note that Mod Podge is not officially food safe, so I would recommend using your new tray to display flowers and other Easter decorations!